After a careful consideration of whom to choose to represent us in this challenging real estate market, we decided to list our home with Peter and Vivian. They exceeded our expectations and sold our Point Grey home in less than two weeks. We were very impressed by their professionalism, diligence and personal approach in the process. No wonder they could excel in this market. We highly recommend their services to anybody who wants to sell in this difficult environment. Thank you so very much for all your efforts, guidance and expertise throughout our time with you. We are very grateful for the care and kindness you shared with us as we truly felt your support every step of the way. It was a privilege to work with you and achieve the sale of our property. We experienced your professionalism and felt your heart. Wishing you all the very best of continued health , happiness & success! Thank you so very much for all your dedication, communication and expertise throughout our time with you. We are very grateful for the commitment and sincerity your shared with us as we truly valued your support every step of the way. It was a privilege to work with you and achieve the sale of our property. You were always professional in our dealings and we felt your care too. Wishing you all the very best of continued health, happiness & success! We hired Peter and Vivian to be our agents based on their ability to understand and financially demonstrate the value of our property. We appreciated the fact that Peter, not an assistant, showed our property and spent a significant amount of time with each potential buyer. They are very professional, committed and really lovely to have in our home. We highly recommend Peter and Vivian for any residential transaction. My husband and I approve of Peter and Vivian abilities; they have a high level of professionalism and productivity. 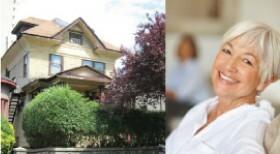 The whole process of selling our house was made easy with their expertise in the real estate industry. We are very satisfied to be working with them as all tasks are done in a quick and efficient manner, and would definitely count on them for all future real estate transactions. Working with Peter and Vivian made the selling of my house far more pleasant than I could have imagined. The professional manner in which they conducted themselves from our initial meeting right through closing was impressive to say the least. They made me feel completely comfortable through what could have been a very difficult and stressful process. I would highly recommend Peter and Vivian to anyone looking to sell their house with confidence and ease. We have been extremely privileged to have had Peter + Vivian take care of our real estate needs. They were very knowledgeable and understood our desires and goals. They were so very patient with us. We owe our success in our recent sell to their expertise. We thoroughly endorse their services. I would highly recommend Peter and Vivian to anyone who is looking to sell or buy a property. Prior to selecting them to sell my house in the Dunbar area, I researched and interviewed numerous highly-ranked local real estate brokers. None came even close to impressing me as much as Peter and Vivian. The research they performed regarding the value of my house was incredibly detailed and impeccably substantiated. Peter and Vivian do their homework like no one I have ever encountered. They were able to sell my house within 24 hours at top dollar. Their key contacts within the community helped to ensure a quick sale. They were masterful at contract negotiations and as a result, I got exactly what I wanted from the sale. Throughout my dealings with Peter and Vivian, they were remarkably personable, highly professional, honoured all their promises, and consistently responded to my numerous emails within minutes. They surpassed all my expectations. I am happy to take the time to recommend the real estate services of Peter and Vivian. My company built a high quality, energy efficient, geothermal smart showcase house in West Point Grey, Vancouver, British Columbia that was ill served in the marketing efforts by many real estate agents before I found Peter and Vivian. To say the least, I was unimpressed with many of the preceding realtors that simply wanted the listing and had no marketing acumen. My time and resources were wasted with those prior realtors. Peter and Vivian went above and beyond my needs which were pressing and immediate. There was always an air of professionalism and concern for my needs. Peter and Vivian rose where many others failed: they met their clients’ needs and not just their own. Truly a positive mutual respect and concern is the norm when you deal with such able professionals. When you need professionalism, results, and ongoing guidance, then turn to Peter and Vivian. They won’t disappoint. I am so satisfied with them that I have determined to work with them in property acquisition, development and marketing on future project. We want to thank you so much for all you did to help us sell our place in Vancouver. Right from the very start we were impressed with your professional attitude, your calm confidence, and your attention to detail. We spoke with a few agents before deciding on who to work with, and you were the only ones who truly understood the unique nature of our building and backed the pricing up with a comprehensive binder of research to substantiate the asking price. We found you both to be reliable, personable, and well informed. You took the time to understand our property and were efficient with showings. Your confidence in the asking price attracted the right buyer. We ended up with a remarkable sale. And with a couple of cups of tea, a few glasses of wine, and some laughter along the way, we feel we can call you friends and would work with you again in a heartbeat. We would highly recommend you to anyone who is looking to either sell or buy in Vancouver. Thank you very much for the great job of 6638 Cypress Street house sale. Not owing to lots advertisement but your great team work and accuracy strategy for the market. No matter high or low market your team provided update info and fully cooperated with home owner let us make decision in peace of mind. Advance preparation and buyer targeting & negotiation made all procedure went smoothly and sold house in short time. We are very satisfied all of your service provided. Thanks all your team members. This was not the last deal with you but will come to you once need professional advice again in no time. Will highly recommend you to my friends or person have house sale need. Wish you have very nice Christmas holiday and prosperity year of 2014. I was very impressed by your sincere service, professionalism and great work ethics. I hope we can continue to work together and enjoy the happiness of this win-win partnership. God bless you. Peter and Vivian say they offer a boutique service and they really do - from helping us staging our home to making suggestions as to improvements to increase its sale-ability. Thanks for all your hard work! Peter 和 Vivian 提供精品的售屋服務, 果然名不虛傳 - 他們幫助我們布置房子, 並建議我們如何改進使房子快速賣出。感謝你們的努力! My family and I can't thank Vivian and Peter enough for their help. Our house had been on the market for 2 years and we had gone through 3 different realtors in that time. All had been unsuccessful. As the months went by we began to become very discouraged as we realized we had a difficult house to sell. That is when we discovered the extraordinary realtor team of Vivian and Peter. We read their portfolio and learned that they had success in helping people like us sell their homes. Right from the initial consultation, we were thoroughly impressed with how experienced and professional the were in their approach. It was the best decision we could have made. Within 4 short months they sold our house and changed our lives. I highly recommend Vivian and Peter to anyone looking to sell their property. You will not be disappointed. 我們由衷感激Vivian和Peter兩位卓越的服務. 在認識你們之前, 我們的房子已經在市場掛了兩年,此前者三個不同經紀幫我們掛牌, 可是都沒賣掉, 隨著時間流逝, 我們開始變得灰心, 因為我們意識到我們有一個非常不容易賣出的房子. 從最初的資詢, 我們就對他們的專業精神和豐富經驗印象非常深刻. 雇用他們是我們做出最好的決定. 在短短四個月內, 他們順利售出了我們的物業, 改變了我們的生活. 我們極力推薦Vivian和Peter給任何希望出售他們物業的人, 你們不會失望的. Packing up to sell our old home in dismay, discussions and evaluations made things formidable, the road suddenly turned and success was achieved after meeting you, we became friends from this chance acquaintance. Meeting both of you was the biggest gain for Cindy and me, whether it is for money or friendship. Thank you for helping me accomplish my home downsize so smoothly. Your outstanding efforts, skills and teamwork made the whole process so easy for me. 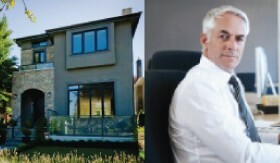 You sold my old Shaughnessy home in today’s challenging market and moved me into my dream penthouse. I am so glad that I found you both for the job. I will definitely recommend your service to my friends and neighbours. I just want to thank you for all of the work you put into getting our townhouse sold. We really appreciate your time & effort. We will definitely recommend you to friends and come back to you ourselves in future. Sincerely thankful for your quality service. Through your hard work,our property was finally successfully sold when other agents had failed to sell it. Your professional attitude deserves our respect. 衷心感謝您們的優質服務, 經過您們努力不懈的辛勤勞動, 終於將我們的物業, 在其他經紀都未能賣出去的困難情況下, 將此物業成功售出. We were so impressed with your professionalism from when we first met right through to the final sale. The speed with which you brought so many clients to the house was astonishing. We are delighted that everything turned out so well and with minimal effort on our part. It has been a pleasure working with both of you and we thank you for all you did for us. Sincerely appreciate your superior service. Especially in today's downturn market, you two could still sell my house in such a short period of time. 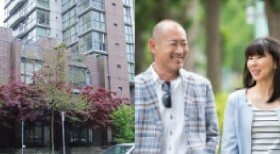 After conducting research and interviews, we chose Peter Saito and Vivian Li to sell our parent's family home in mid-2012. We believed that they had the experience, knowledge and enthusiasm to sell a rather neglected older home in Shaughnessy. While the real estate market declined in mid to late 2012, Peter and Vivian worked hard finding a purchaser for our house. They worked diligently, through several offers, contacting us on holiday and at work, ensuring that a possible purchaser was not lost. We eventually sold the house, within two months of listing it and for a price we were pleased with. We believe that we made the right decision employing Peter and Vivian to sell our house. 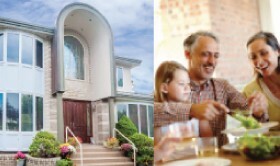 They understand and are connected to the off-shore market, to those purchasers looking for large lots in Shaughnessy. It is a great pleasure to meet Peter and Vivian in Vancouver right after we landed. We appreciate your hospitality and professionalism. Your help with our home purchase has made our life in Vancouver a great joy. We believe we will become very good friends. 我们委托了一个所谓的“大牌”经纪代理我们的房子六个月没有售出；我们找到了Peter & Vivian. 奇迹出现了. 他们在不景气的市场情况下只用了11天卖掉了我们的房子，而且是我们很满意的价钱. 真是“魔法团队”! I gave Peter a $150K in 1993, not a single penny after. Today (after 18 years), his asset management has turned that into a portfolio of $8.5 Million net equity value, over 56X of original investment!! We are very satisfied with Vivian and Peter's highly professional and excellent service. They are the best realtor team we have ever met. They have great work ehtics and are very trustworthy.